$20,000 doesn’t go far in the U.S. anymore, but it will do wonders in Dono-Manga, Chad. It will provide a home for 41 orphans, a drip irrigation farm, a small poultry house, a small goat barn, a catfish tank, and a block wall around the entire compound. Most important of all it will provide an environment where children without a mom or dad can get off the streets and be protected, cared for and raised to know about a Father in heaven that loves them more than they could ever know. In keeping with Hope Springs’s vision to help people help themselves the addition of a farm compound to our orphanage plans will provide the training in agricultural and animal husbandry skills that will provide for the present needs of these children and the skills they will need to make it on their own when they are old enough to leave. We anticipate that it will take only 2 to 5 years for this orphanage to become self sustaining. Think about it! A $20,000 investment is less than $500 per child. Individual sponsorship per child will be $100 per month for only 3 to 4 years. (Monthly donations of any amount will be accepted and combined with others gifts if you cannot provide full sponsorship for a child). We need to begin construction as soon as possible. Dono-Manga is located in a remote area of the nation of Chad 60 miles off the nearest paved road. When the rainy season begins in June of this year connecting dirt roads will wash out and become impassable. This means that there will be little or no traffic in or out of Dono-Manga from June until the middle of October after the rains have ended and there has been sufficient time to repair the roads. If we act quickly there will be time to secure building materials and complete the orphanage before the rains begin. We may not be able to change the world, but we can change the world of theses 41 kids. Categories: Chad, Children, Dono-Manga, Drip Irrigation Farming, New Wells, Orphanage, Orphans | Tags: Children, Orphans Orphanage | Permalink. When we arrived they starting gathering in the compound outside the home of Pierre Rimorbe the lead evangelist in Dono-Manga. I recognized many of them. 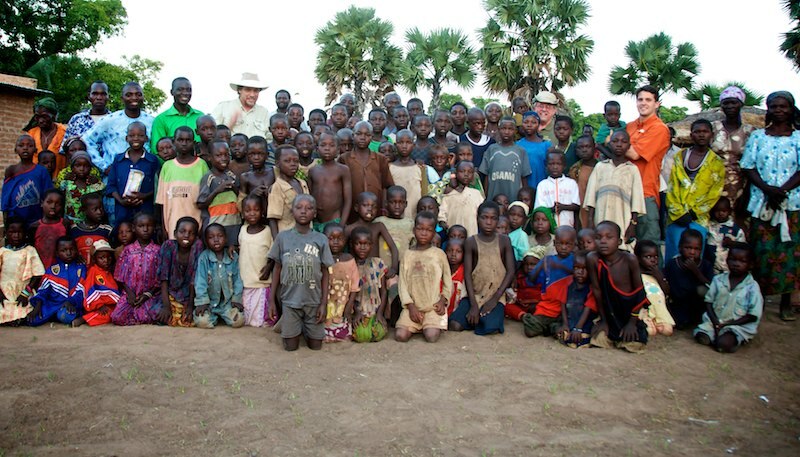 My computer’s screen saver for months had been a group picture of 41 orphans taken on one of the many visits made by Ebenezer to this area. But seeing them in the flesh was much more emotional than the picture. Pictures have a way of making things look better than they actually are. A lump came to my throat as big as an orange as I thought how little these children have, and how great the need is to do something that will give them a home and hope. I looked in the van and found one of the soccer balls we had purchased and the young people of the Madison and NorthField Campuses had written greetings on. We brought them to pass out during our journey. I pitched that soccer ball into the middle of the group and all at once it was game on. It is amazing how resilient children can be. They can deal with hardship and poverty, and still manage a smile. Each of these children has a story. Some lost their fathers during the years of war with Sudan; some of their mothers died giving birth to them. Others are from families where Aids has been devastating. Each one of these children is a survivor. 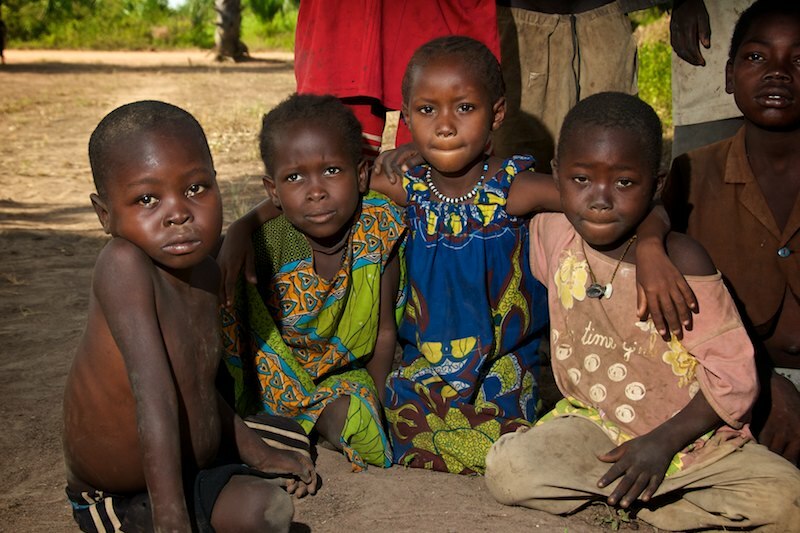 The statistics say that half of the children born in Chad will die before the age of 5. Most of these children have beaten those odds, only to face the challenge of losing their parents. We now have an opportunity to do something special. 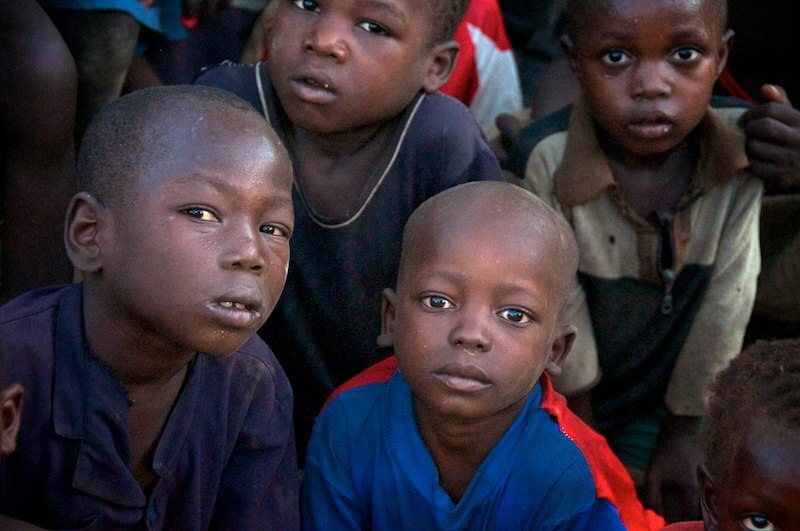 We have the opportunity to give these children the security of a home and hope for the future. Hope Springs International plans to build an orphanage for these 41 orphans from this one section of Dono-Manga. We will also establish a farm on the same land where the orphanage will be located. The children will learn the skills of dry season farming as they work on the farm to help provide for their own needs. This training will also enable them to learn a skill that they can take with them for the rest of their lives. But most important of all as they grow up they will be taught the saving message of the Gospel of Christ. The construction cost for the orphanage and furnishings is estimated to be $7500. The cost for a wall to encompass the orphanage and the farm land is yet to be determined, but will be necessary to keep animals from getting to the crops. There are two ways to help with this specific program. We need one time gifts for the construction of the orphanage and the development of the farm. We also need sponsors for each of these children until the farm is up and running to the point of being self sustaining. Half sponsorship of a child is $35 and full sponsorship is $70 per month. A brochure with each child’s picture is available upon request. Will you partner with us? We may not be able to change the world, but we can change the world for 41 kids. Categories: Chad, Children, Dono-Manga, Orphanage, Orphans | Tags: Chad, Child Mortality, Children, Orphanage, Orphans | Permalink. Hope Springs International is excited to announce the appointment of Ibrahim Rambi Ayala as our new Director of Operations – Africa. Rambi has a diploma in theology from the Jos School of Biblical Studies, a B.S. degree in sociology, and a postgraduate diploma in journalism and has completed the course work for his M.S. degree in criminology. Rambi is the last of 23 children. His father, a Muslim, had four wives and his mother was the last of the four. He was raised according Islamic tradition. While in high school a friend introduced him to the World Bible School study course and during a follow-up visit by a representative from World Bible School, Rambi surrendered his life to Christ and was baptized in October of 1991. Soon after his conversion to Christ he completed a three year study program at the Jos School of Biblical Studies. His mother also became a Christian soon after his graduation. 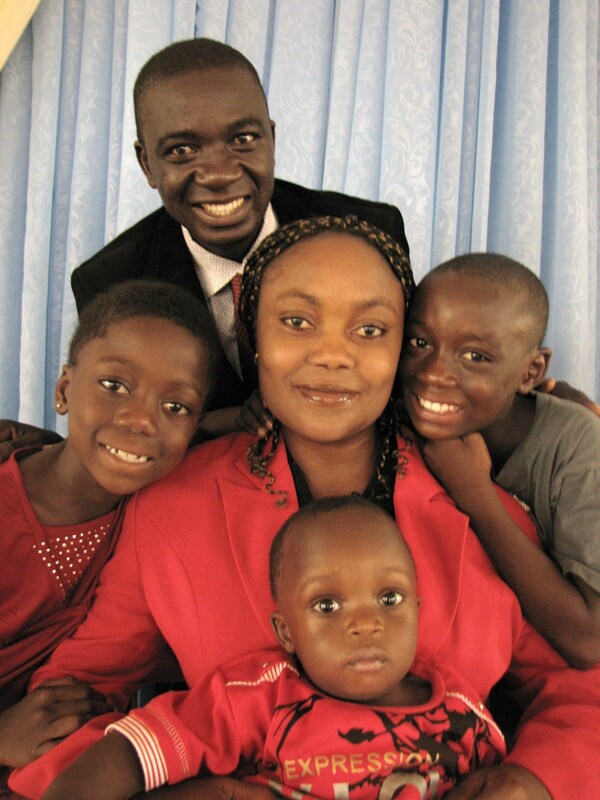 Rambi was married to his wife Asabe in December 1999 and God has blessed them with three children, two boys, Mayamba, 9, and Faidayamba, 1, and a daughter, Fononyamba, who is 6 years old. We learned while were in Africa that the Rambis are expecting a fourth child. Rambi’s wife Asabe is a trained Senior Community Health Extension Worker and presently plans to pursue a degree in law. 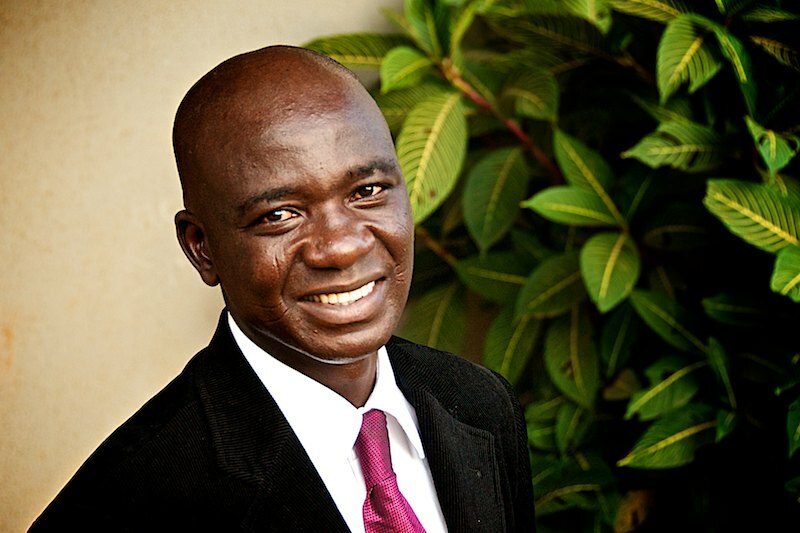 Rambi, who is from Northeastern Nigeria, has served as preaching minister for the Jos Church of Christ. He also preached for the Wulari Jerusalem Church of Christ in Maiduguri, Nigeria, and was responsible in maturing leadership there to serve as shepherds. The Wulari Jerusalem Church owns the land where our Pompomari Training Farm is located. Rambi presently preaches for the Kado Church of Christ, in the city of Abuja, the Federal Capitol of Nigeria. We feel very fortunate to have found someone as talented and qualified as Rambi to continue the great work that has been done over the past three years by Ebenezer Udofia. 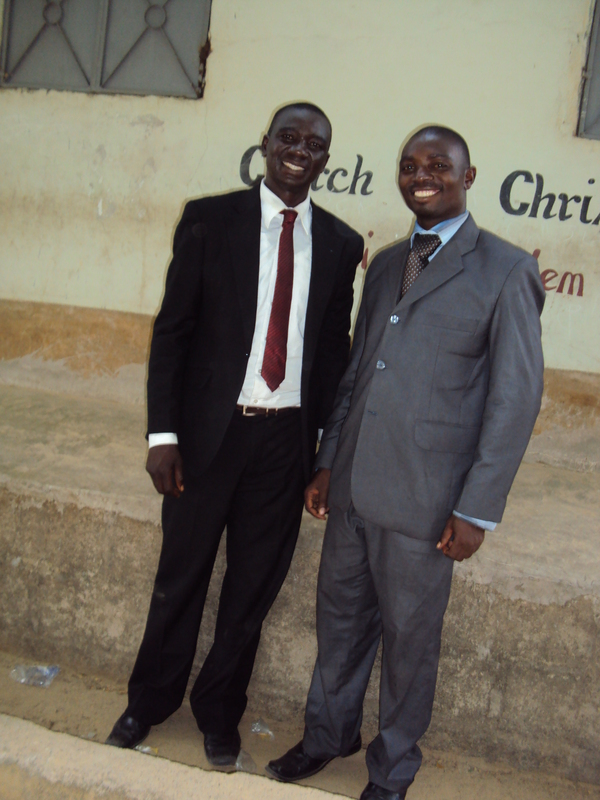 Ebenezer began his new position with Healing Hands International at the end of August. We now look to the future with confidence and assurance in the new leadership that Rambi Ayala will bring to Hope Springs’ work in Africa. Categories: Uncategorized | Tags: Transitions | Permalink.